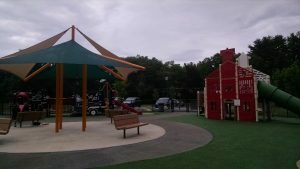 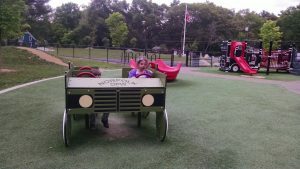 I’ve been hearing about this new playground in Norfolk, MA for many months now and finally got a chance to check it out! When we pulled into the parking lot, my daughter squealed in delight from the back when she saw the fire house. 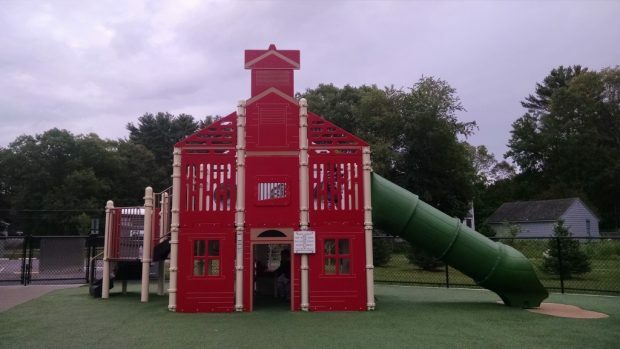 Both a fire truck and fire house adorn the front of the playground, giving kids lots to explore. 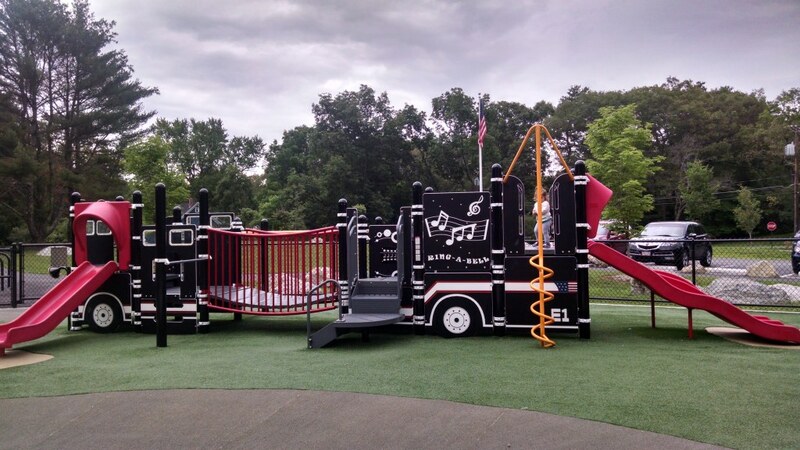 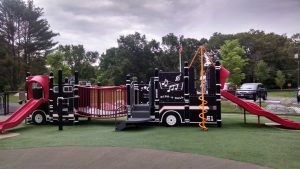 Complete with slides, bells, musical parts, a bridge, merry go round, fire pole, monkey bars and a place to hide – these features are sure to delight your kids of all ages. 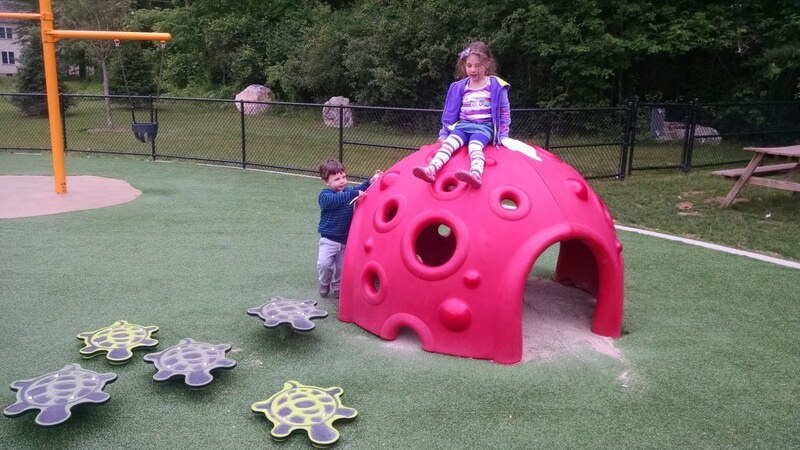 The playground also has a bunch of other neat things for the kids to explore and climb. Turtles to jump on, a climbing shell, turtles to ride, a large sandbox with shovels,swings and a DPW Tractor are just a few of the many structures. 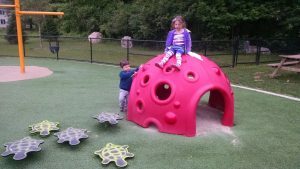 There is also a great big hill with a path for the kids to run up and down to get out any last minute bursts of energy. 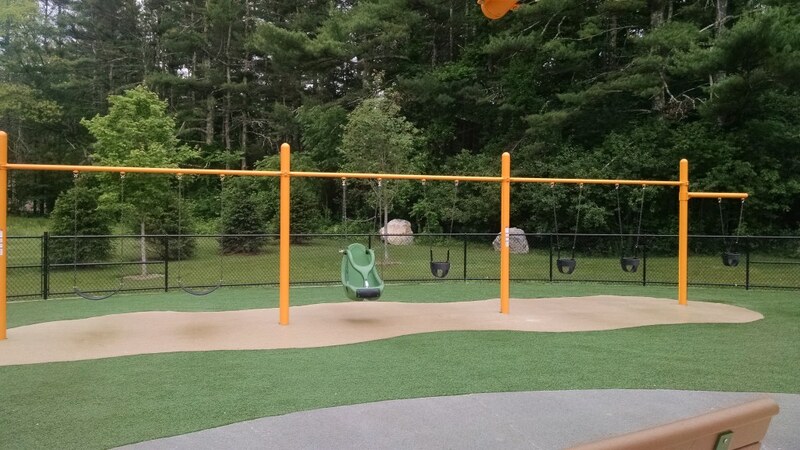 A sun shade lays in the middle of the playground with a circle of benches for parents to relax and watch their kids. 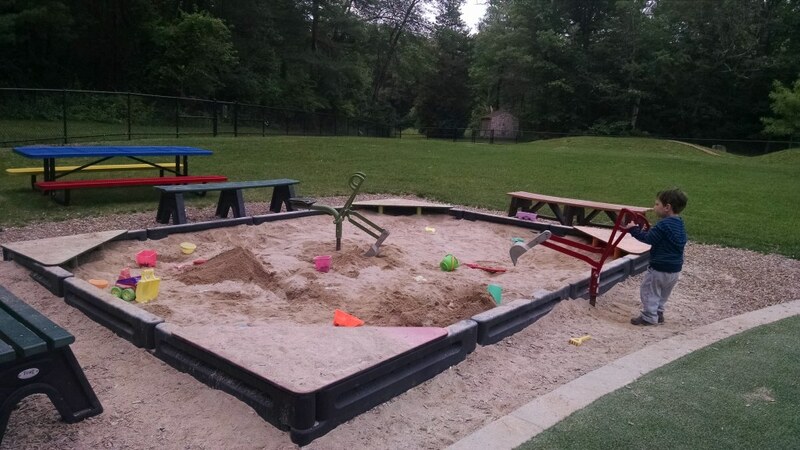 There is also a large area with picnic tables if you wanted to stay for lunch. 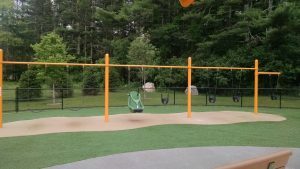 Overall, this playground is lots of fun for all ages and really well done. 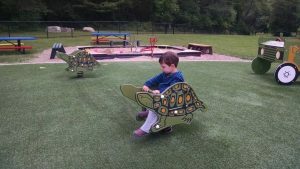 AstroTurf and rubber lay on the ground minimizing playground casualties at its best and better yet, no sand or woodchips in my shoes! 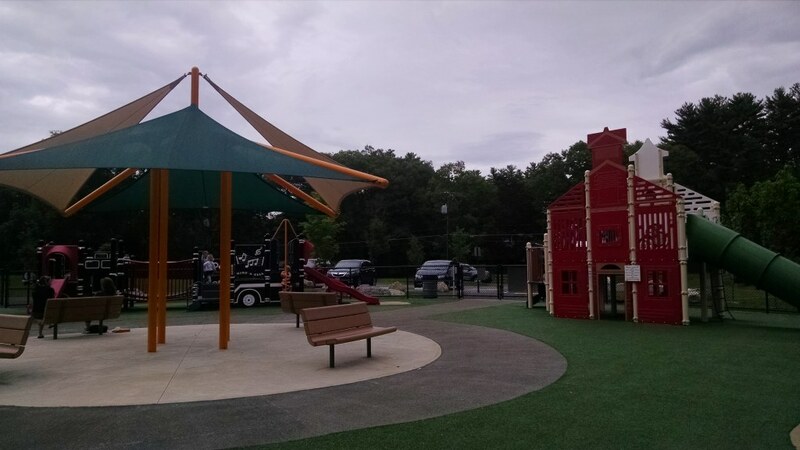 Not a lot of shade for the kids near the actual structures – lather up!